Many people love the excitement of a high-speed boat ride, it is something that sets the heart on fire. There are those who love speed but also want to know a little bit more about the ocean and its inhabitants. 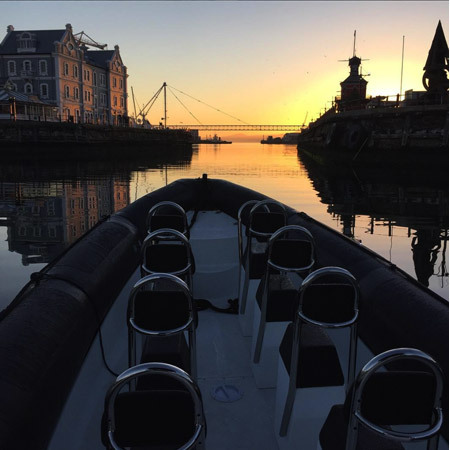 The adventure boat ride from Adrenalised brings both of these together to create a one of a kind Cape Town Boat Tour. Adrenalised love the ocean and love showing it off to visitors to Cape Town. 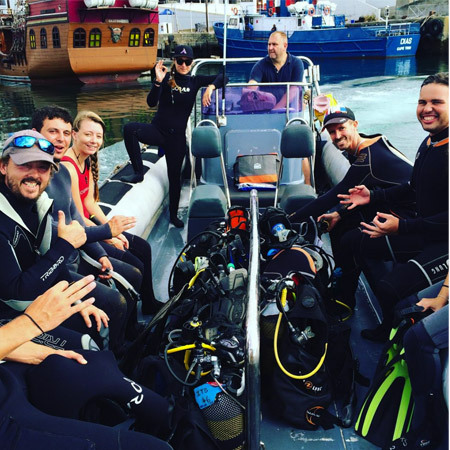 Adrenalised also know that people love thrills and spill too and for this reason, they created what can only be described as the best 30-minute ocean tour in Cape Town. 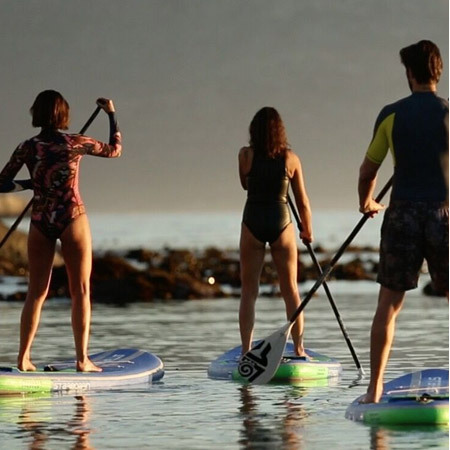 In just 30 minutes, Adrenalised does more than just get Cape Town tourists out on the water, they get them to appreciate it more. 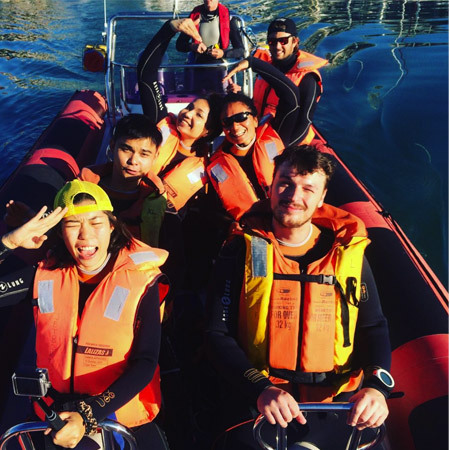 If you want some fun and want to explore the marine life off the coast of Cape Town then the 30 Minute Adventure Boat Ride is the thing for you. For a superb ocean adventure boat ride in Cape Town, you need a great boat. Adrenalised has the perfect boat for a fun Cape Town Experience. The Gemini 850 RIB boat is a fast, safe and reliable boat, ideally suited for diving and ocean exploration as it seats up to 8 passengers. For the Cape Town ocean adventure, this boat is ideal as it has both speed, stealth and just enough comfort to make the trip unforgettable. A full safety briefing is given before departure and once the lifejackets are on the engines are fired up and the adventure can begin. At speed, you are raced out of the V&A Waterfront and once out to sea, your skipper swings to the left and off towards Clifton. Hugging the coastline the thrills of hitting the ocean waves gives all the passengers a salty soaking and the adrenalin starts to flow. 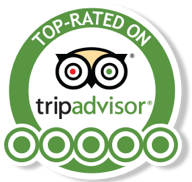 The experienced team know these waters well and soon slow the boat down as the amazing marine life begins to appear. Dolphins play in your wake as the boat slows down they come up close to say “hello”. 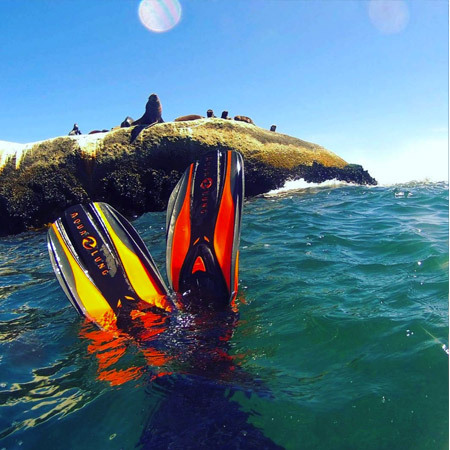 These friendly and curious mammals are often the highlight for many people on this jam-packed ocean adventure in Cape Town. Seals swim by and, just like the dolphins, come up close to the boat almost inviting you to come and play. Basking sharks can often be spotted, sometimes the fin of sharks can be seen among lazing Sun Fish and you soon begin to appreciate the diversity of nature in the oceans under the gaze of Table Mountain. At the right time of year, whales can be seen and these majestic animals even amaze the experience Adrenalised crews. 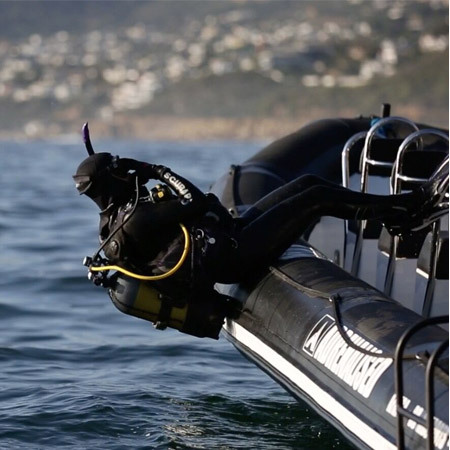 Safety of passengers and respect for nature are paramount on every Cape Town Ocean Adventure. 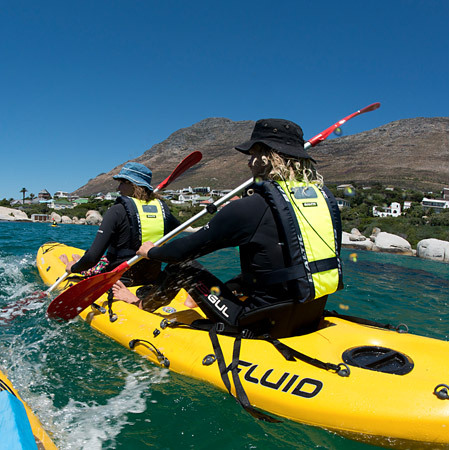 The best time of year to experience the Cape Town Ocean Adventure is of course summer, however, the tours take place all year round and are always subject to weather conditions. In closing, the Cape Town Ocean Adventure is the perfect way to get up close to the ocean for those with limited time who are trying to cram as much into their stay as possible. The OceanX team are only too keen to share the beauty of the ocean as well as the beauty of the Cape Town Atlantic Coastline on our unique adventure boat ride. Experience the thrill and adventure onboard our Gemini 850 RIB Boat as you make your way along the Atlantic coastline passing by Granger Bay, Sea Point and Clifton. We include some high-speed turns and smooth driving as we admire the spectacular views of Cape Town from the ocean you will also have a chance to see a large variety of marine life including Whales, African Penguins, Cape Fur Seals, Dolphins, Sun Fish and countless species of bird life. The adventure boat ride is perfect for those seeking a bit of speed and adrenaline.